My glorious crochet tiger pattern is finished. Meet Koji! This was beyond doubt the most ambitious crochet animal I have made so far. 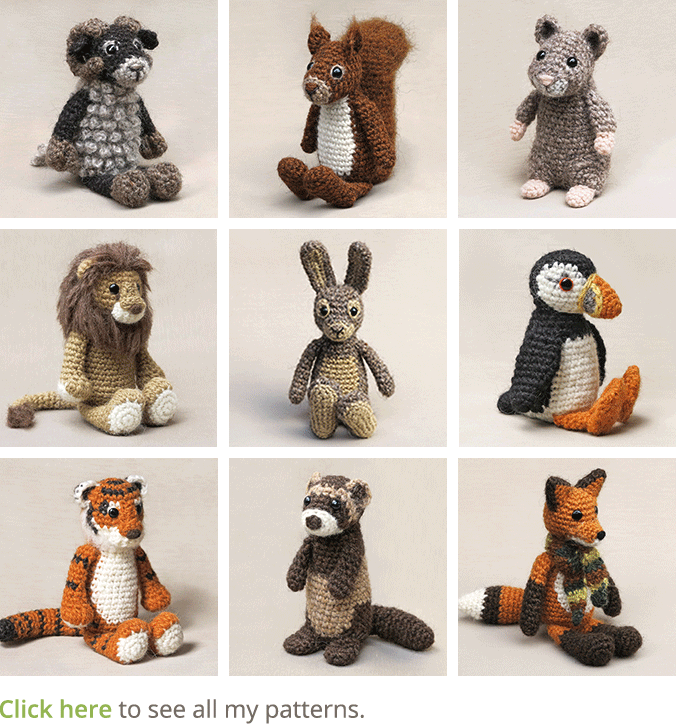 Yet, knowing that from the start, I was ever so excited to make a crochet tiger. I fully accepted I probably had to make many more test pieces than usual, but I knew that in the end it would be worth it. Well, at least I hoped it would be! Making a crochet version of a complexed coloured animal like a tiger, comes with many dilemmas. I always fancy my animals to look as realistic as possible, but with a tiger, I knew I had to make some compromises. 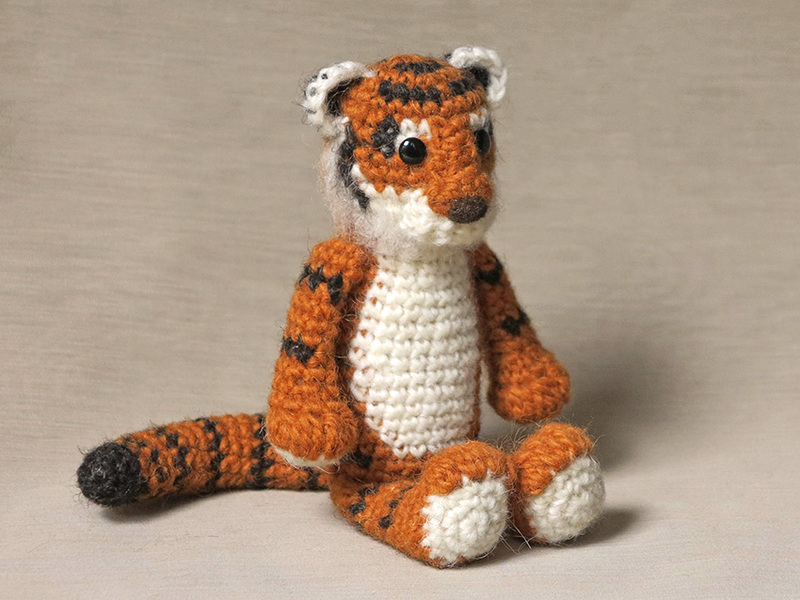 Certain characteristics of a tiger just are impossible to recreate in a small crochet version. For instance, a tiger’s face has many stripes, going in different directions. I only had room for two stripes at the top of the head and two at the sides. I had to find the right look for my simple stripes, to get that classic tiger face. Also, tiger ears are quite striking with light orange fuzzy front sides and dark backs with a white spot. But there was no way I could make a simple crochet version of such small ears, coloured like that. Essentially, the whole proces went like that. Should I let the dark stripes of the body run over into the white belly? Nope, did not look good at all whatever I tried. Tigers have orange toes, black soles and white hair between the toes. What should I do to make that look best? Many questions like these followed, but it was very rewarding every time I found a good solution. Koji has become a striking tiger doll. I think he looks playful, but also shows a bit of that tiger wisdom. Personally, I think he looks young and sweet in the first picture and more wise and mature in the picture below, that is really curious isn’t it! Here is another picture of Koji and below it you can find info about and links to the pattern. 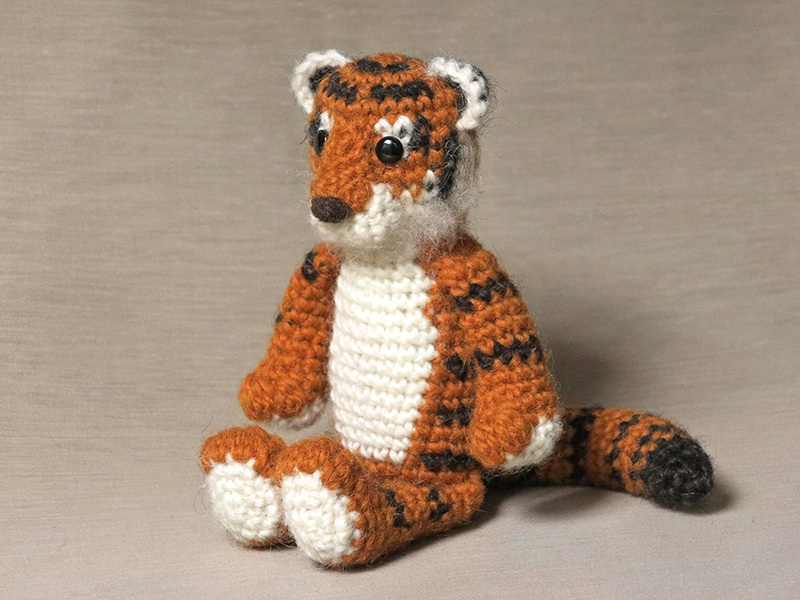 This crochet tiger is 5,8 inch / 14,8 cm when sitting. I spend a lot of time writing an extra easy pattern to make this animal. There is a lot of colour changing, so I added a bit more info about it and wrote the pattern for the head and body in stitch colour, so you can even see from the lines how your rounds of stitches should look. Koji is made with three colours of lett lopi, a 100% wool. I would strongly advice the use of a fuzzy yarn, as it leaves much neater colour changes. The pattern for this beautiful animal, you can find in my shop and in my shop at Ravelry. 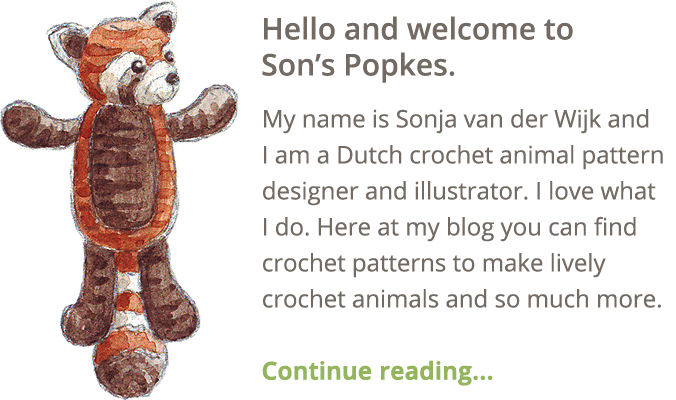 It contains a clear description of how to crochet and attach the tiger with example pictures at the bottom to help you get everything right. In the pattern you can also find what materials you need, the Lopi colour numbers, in short, everything you need to know to make this glorious animal. 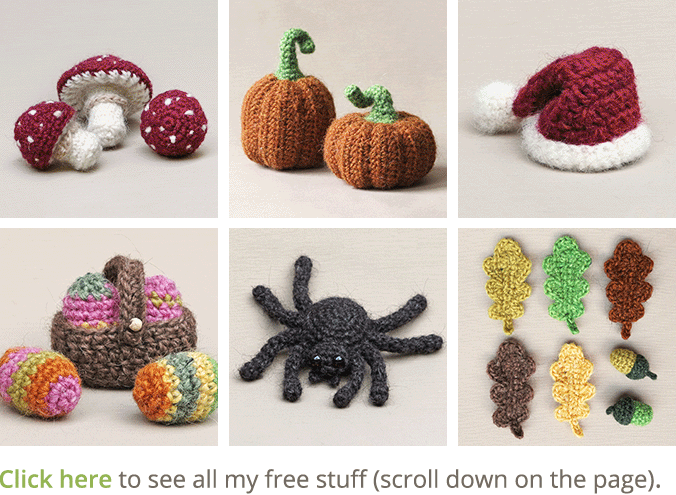 And heads up, the pattern has a one dollar release discount till April the 12th. Great pattern! I haven’t seen such a good tiger before! Congratulations!!!! Oh My! He glorious and I’m so looking forward to making him! I’m happy to hear that Nathalie! He’s so gorgeous! I especially love the way you’ve captured his nose area! I love it–but I don’t crochet. can a person buy a finished tiger?